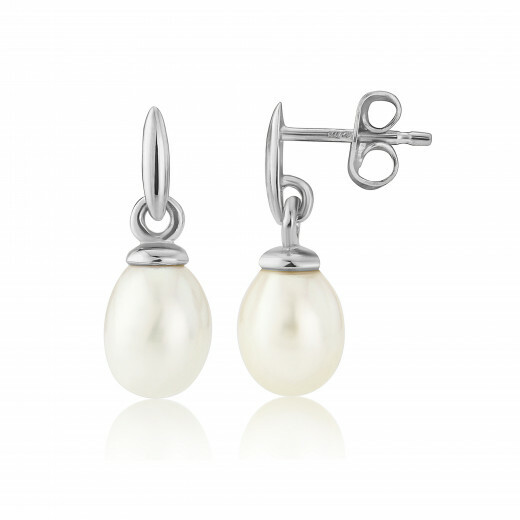 One of our bestselling pairs of Earrings - and it's easy to see why: Simple, sweet, elegant and a beautiful combination of classic Pearl and polished White Gold. 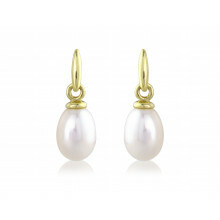 The White freshwater Pearl hangs from an elongated bail and has an easy post and butterfly fastening. 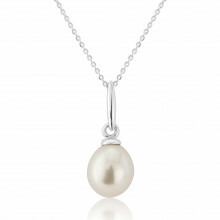 Especially perfect for those who have Pearl as their June birthstone. Matching Necklace is available.